Well the bus came and Connor is now at Kindergarten. He was very excited, but he did admit to me just before the bus came that his stomach hurt. I guess even little guys get nervous. I can’t wait to hear how it went, he was very excited about starting school. 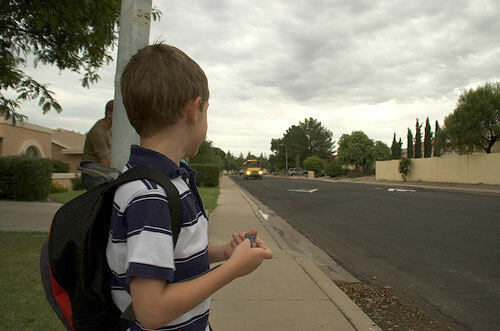 Connor watching the bus approach the bus stop.